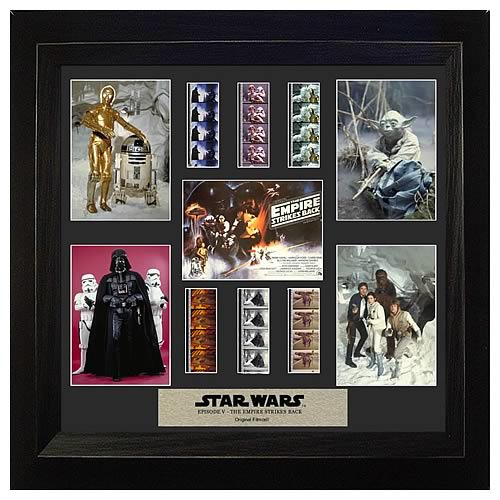 This amazing film cell features prints and actual strips of film from Star Wars Episode V: The Empire Strikes Back. It measures 20-inches tall x 19-inches wide and is perfect for displaying in your home or at the office. All the elements are framed in black wood and include a certificate of authenticity. Please note that the actual cells of film may vary from piece to piece, as they are hand selected from reels of film.